Judas Priest delivered the “Firepower” tour debut of their 1982 classic, “Devil’s Child”, during a March 21 appearance at the Download Festival in Japan. The tune was the closing track on the band’s eighth studio album, “Screaming For Vengeance”, which peaked at No. 17 on the US Billboard 200 on its way to sales of more than 2 million in the country and 5 million worldwide. 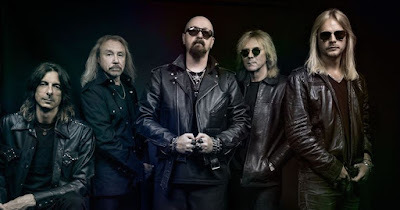 Judas Priest topped the bill at Download Japan – which also saw appearances by Slayer, Ghost, Anthrax, Sum 41 and more – after a recent cancellation by Ozzy Osbourne while he continues to recover from a series of health issues. Produced by Tom Allom and Andy Sneap, ”Firepower” earned the group their highest-charting US album with its debut at No. 5 on the Billboard 200 last spring. Judas Priest will resume their 2019 live schedule with a two-month spring North American series that will begin in Hollywood, FL on May 3.